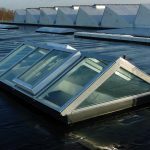 The DELTALIGHT is a triangular skylight system on a self-supporting aluminium construction, in which polycarbonate multi-wall panels are inserted. Due to its design with glazing elements mounted in extruded aluminium sections, the DELTALIGHT has very good thermal-insulation (u-value) properties, thus guaranteeing low energy costs. 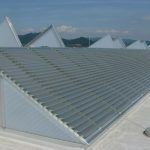 Significantly better insulation values and excellent light scattering properties can be achieved by filling the panels with Lumira® aerogel. 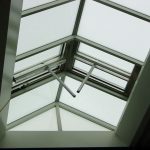 Installing or retrofitting natural smoke and heat extractors or other devices into the DELTALIGHT is an easy option. The DELTALIGHT system can be equipped with a PSP30 fall-through protection. 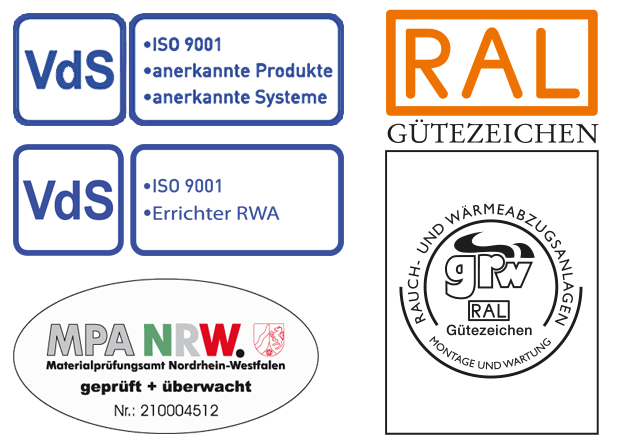 It is adapted accordingly for special requirements such as stricter sound insulation standards. Furthermore, south-facing solar shading can be installed. The DELTALIGHT glazing infill is made of polycarbonate multi-wall panels with a thickness to choose from between 10 to 32 mm. 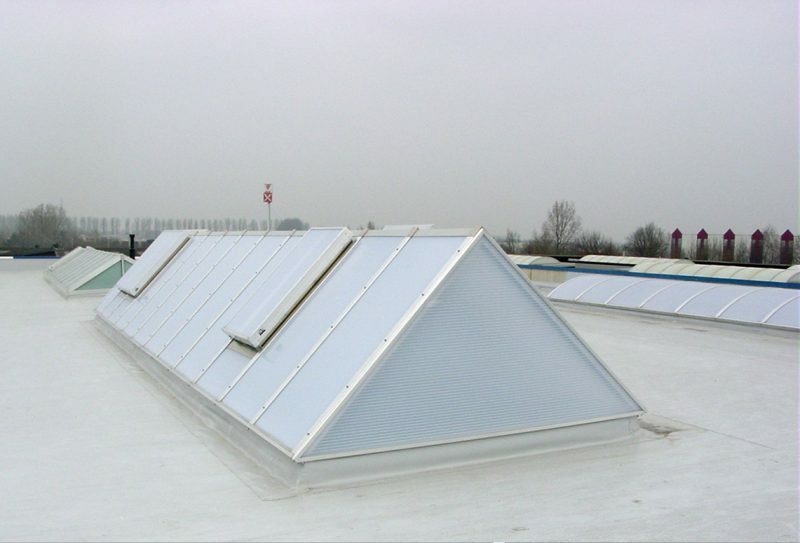 Furthermore, 10, 16 and 25 mm panels can be filled with Lumira® aerogel. 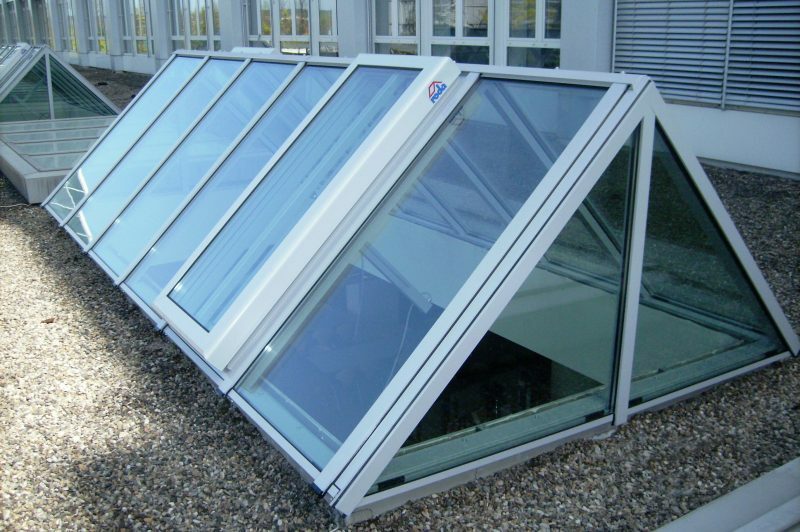 An insulated-glass infill is also available. The self-supporting construction is made of the aluminium alloy AIMg Si05 F22 with the base edge profile being mounted on top of a curb. 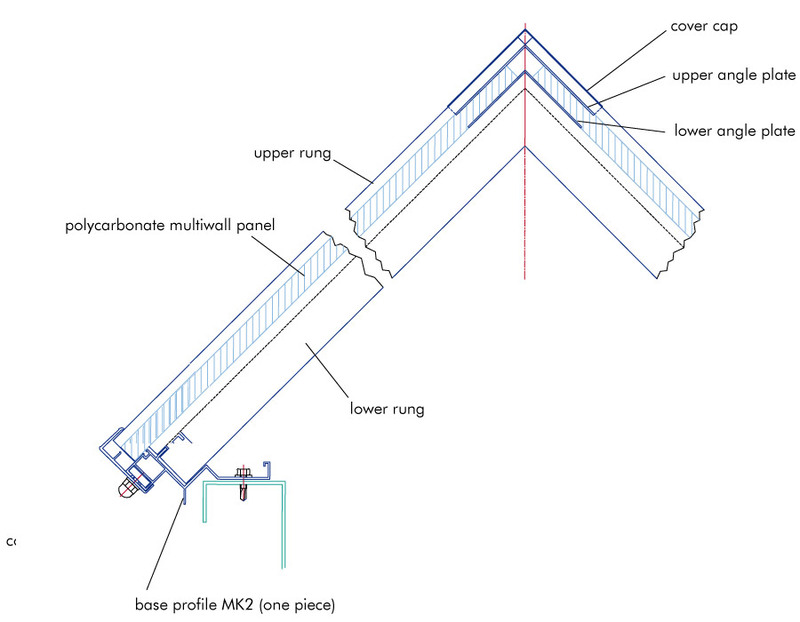 At the end faces the glazing elements are held in a circumferential end-panel border profile. 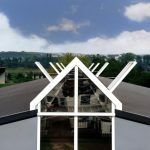 The border profile is adjusted to the angle of the first and last covering glazing bars, forming the border of the base at the same time. The end panel is made of 16 mm polycarbonate twin-wall panel. 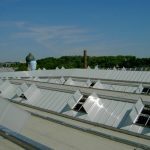 Threaded glazing bars welded together form the ridge turrets and the basis for the infill. 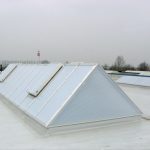 The ridge flashing is made up of ridge caps and cover angles, which are attached to the upper glazing bars. All bolting components are made of aluminium or stainless steel. The DELTALIGHT is available in both, the MKI and the MKII versions, which differ in their base profiles. 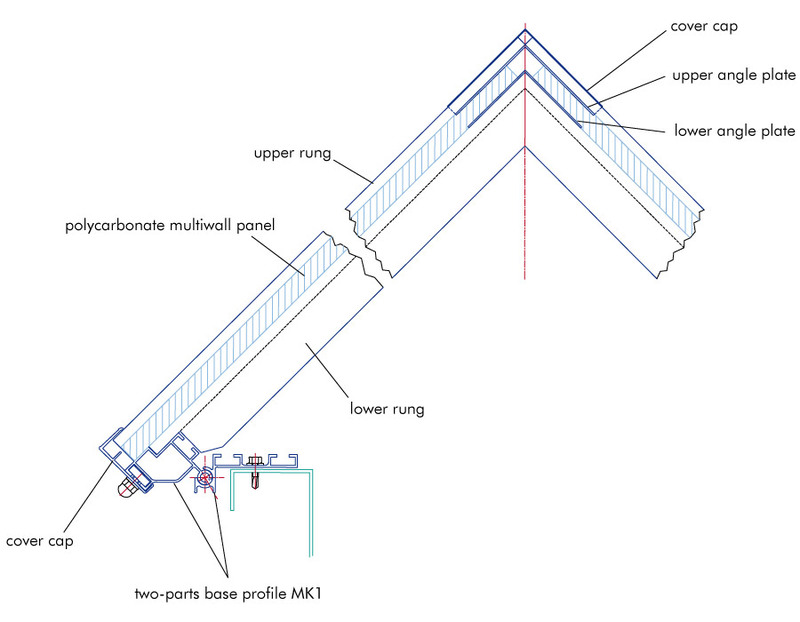 The MKI profile allow different angles and an asymmetric construction of up to a width of two meters. Furthermore, it is easier to install. The more economic MKII base profile is only available in two versions with either a 30° or 45° fixed angle. 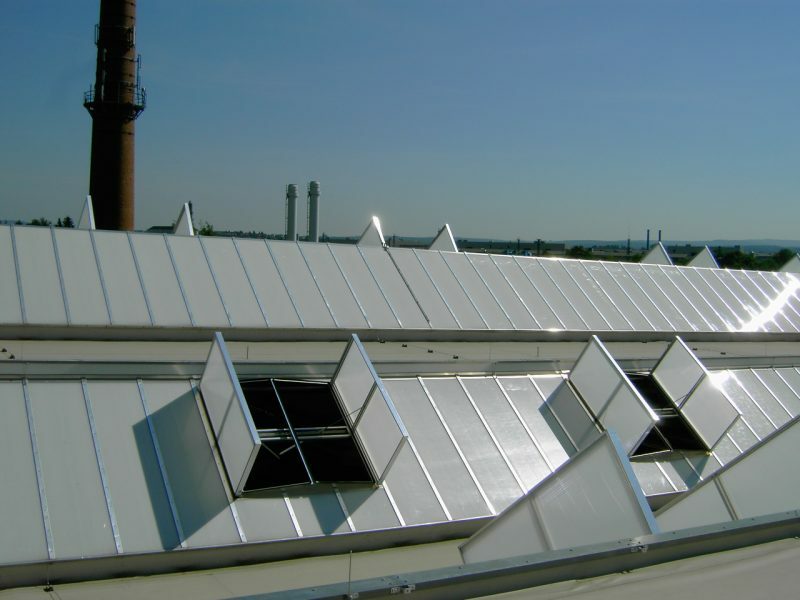 Optionally fitted solar shading louvers reduce heat built-up inside the building during the summer. 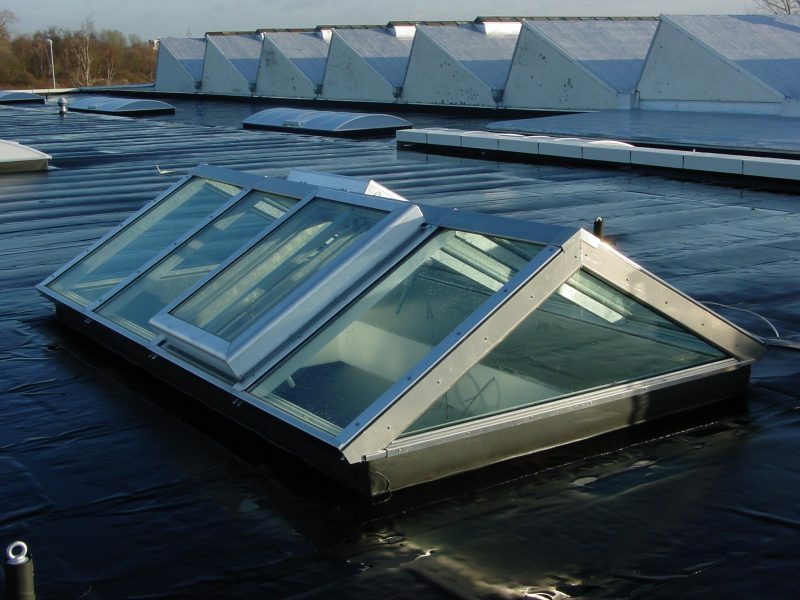 The DELTALIGHT is manufactured for roof openings between 1,500 mm and 5,000 mm. 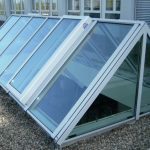 With a glazing-bar spacing of 1,000 mm, there are no length restrictions. 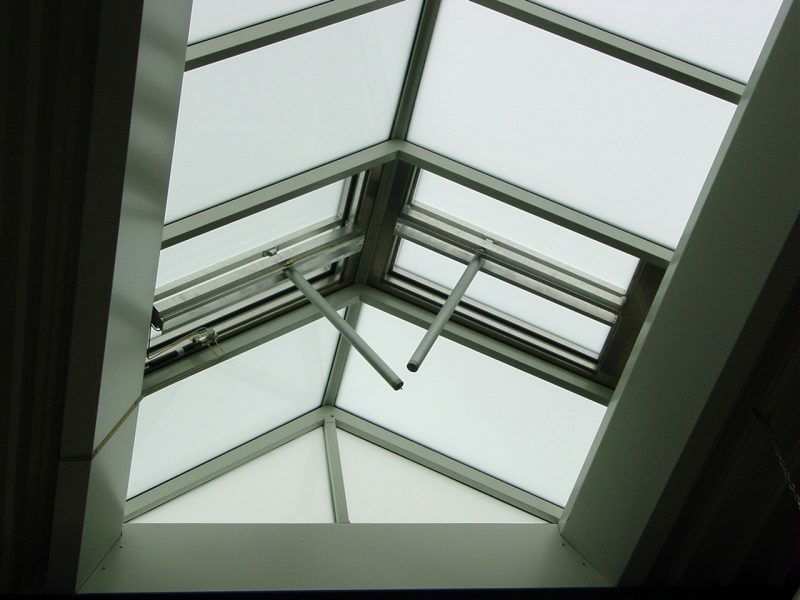 The skylight is available with the following standard angle combinations: 30°/ 120°/ 30° and 45°/ 90°/ 45°mm. Asymmetrical designs and other angles are available on request. 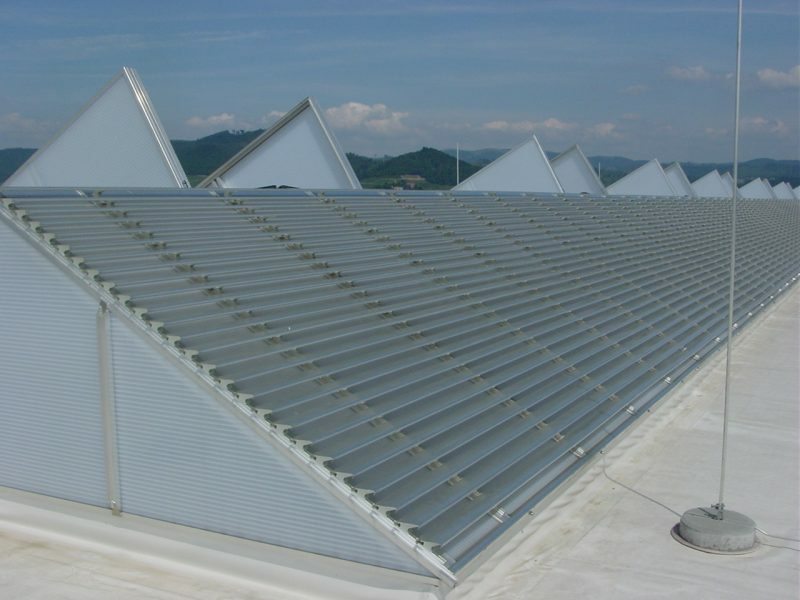 The end panels are manufactured out of custom-made polycarbonate multiwall panels. The panels are held in place by the upper and lower end-panel profiles. 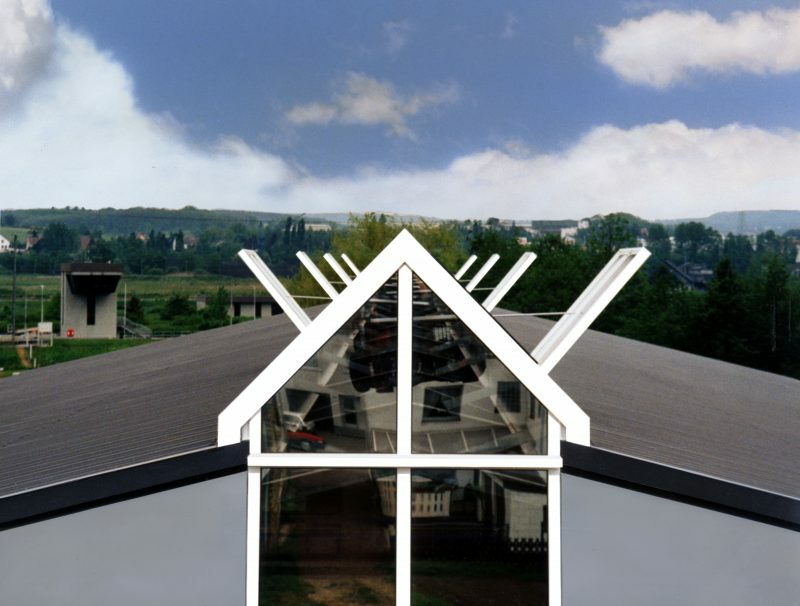 The upper end-panel profile is held in place by the upper and lower glazing bars. 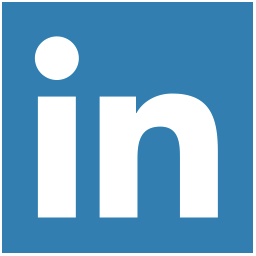 The lower end-panel profile serves as the base profile (please click for magnification). 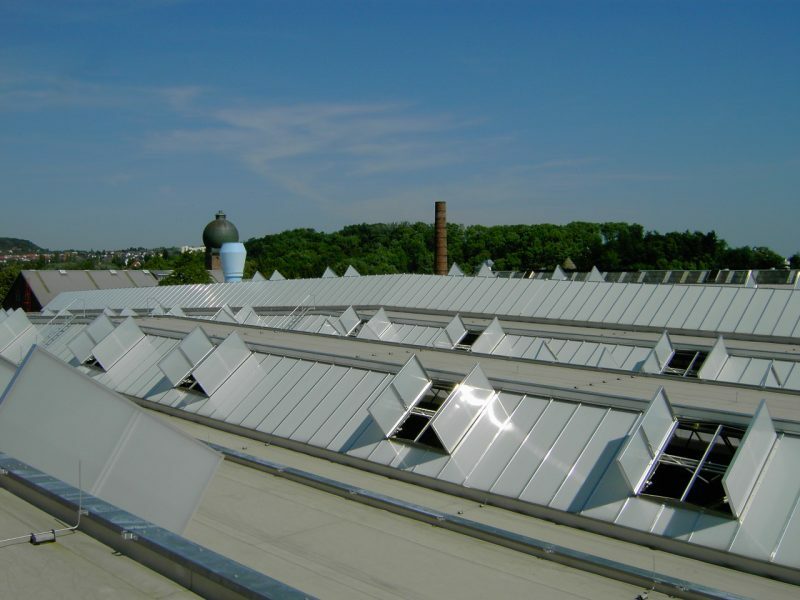 In order to reduce the heat built-up inside the building during the summer, the DELTALIGHT can also be equipped with a solar shading system. Further information to this are found here. 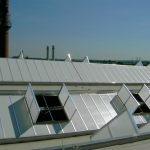 Information about the roof connection can be found here. A visual alternative to the DELTALIGHT is provided by the dome light system EUROLIGHT.